← SAINT ROCKE – Great music isn’t only what’s on their menu. As if the rest of the country needs another reason to be jealous (or hate as so many do) of L.A., especially during the winter when it’s in the 70’s and the sun is shining… add another. 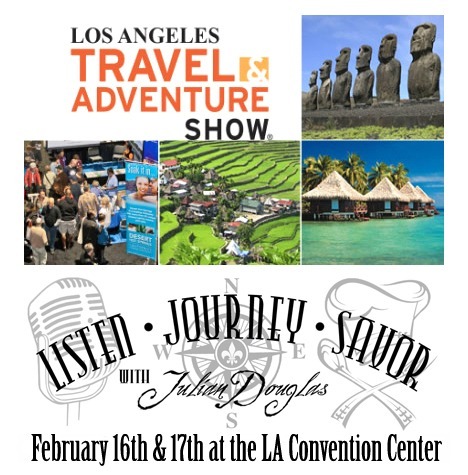 It’s time for the return of the Travel & Adventure Show at the Los Angeles Convention Center! It’s a mighty big sign… but then it’s a mighty big convention! Everyone knows I live to travel. Since I was a baby it was in my blood and I first started traveling around the world as a small child. Fortunatly, I haven’t stopped traveling the world ever since. As blessed as I have been to do so, most people would be surprised just how simple it is to travel, let alone how inexpensive it truly can be. If you don’t believe me, there’s your first reason to head over to the Los Angeles Travel & Adventure Show. Need a few others? Ok, well then let me fill you in on some. Here’s looking down from the media room before the Media Event, a good hour before doors open and before the isle ways get packed. And this is just a small section of the floor! 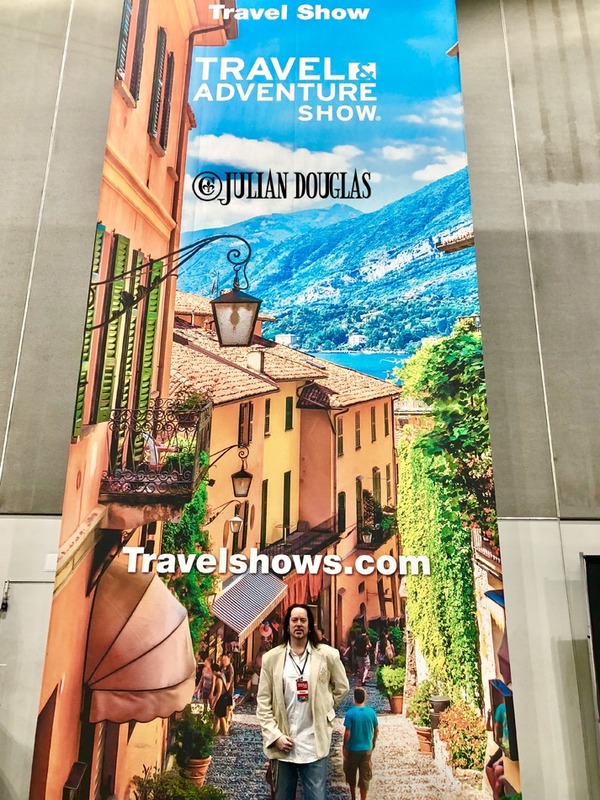 But first, a brief background of what’s now known on social media as the #LATravelShow. 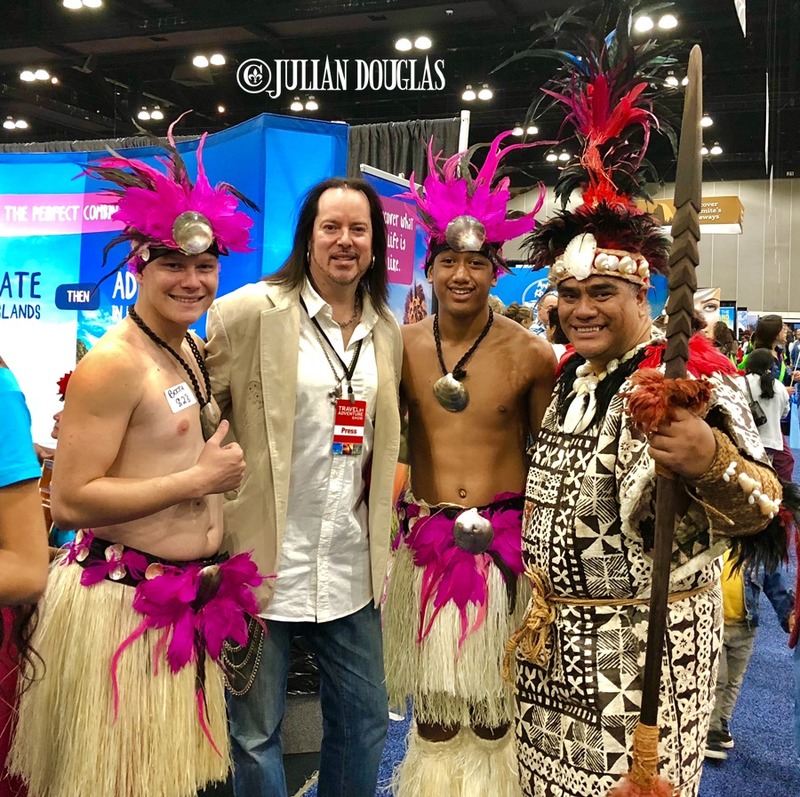 If you are a fan of travel, then there’s no other convention open to the public like this one. Not only is it the only one in Los Angeles, but it’s also now the largest in the country. If you don’t believe me, be a part of the over 50,000 people who will be in attendance on Saturday and Sunday, February 16th and the 17th, 2019. 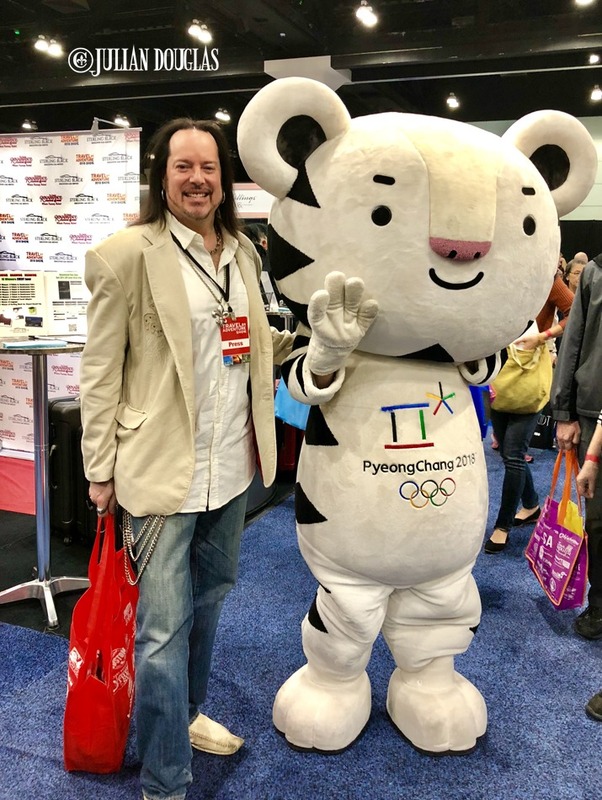 Last year with the Olympics, Korea was having extra fun at the Travel Adventure Show. 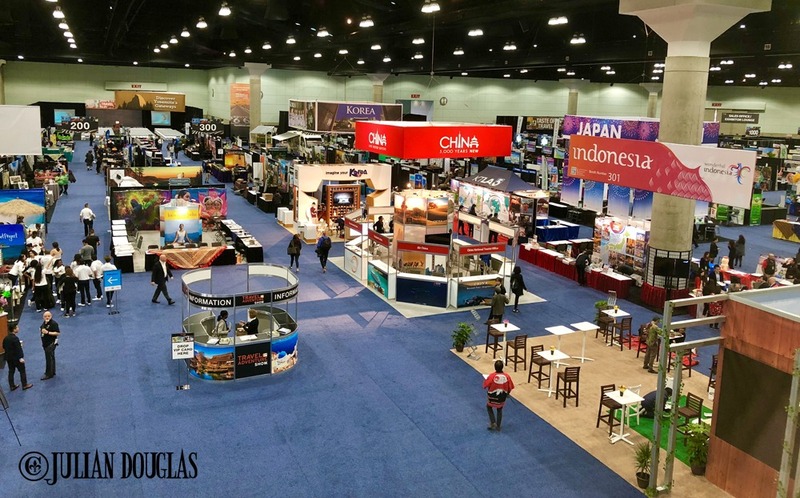 There are endless amounts to explore and discover revolving around the world of travel and adventure, thus where the convention gets its name. Whether you’re a seasoned traveler or just starting out, this is the place for you. 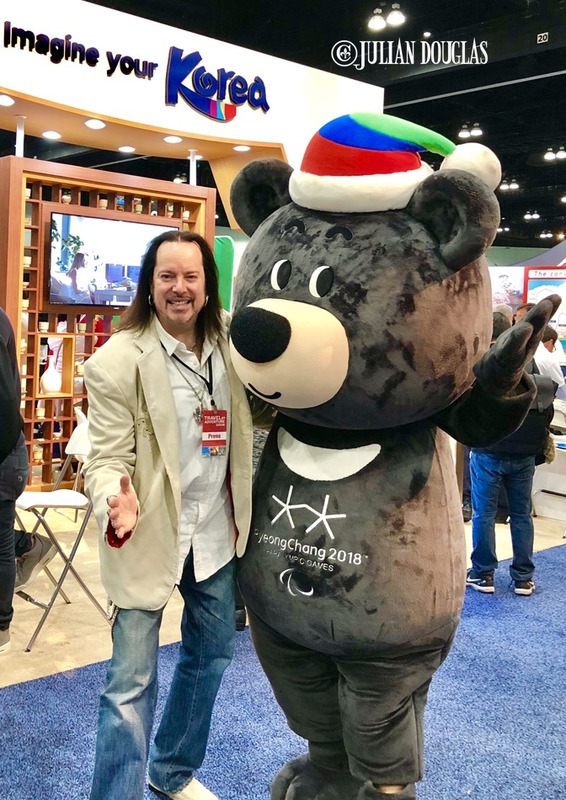 For starters, there are over 350 exhibitors from destinations around the globe, consisting of thousands of U.S. and worldwide travel experts. 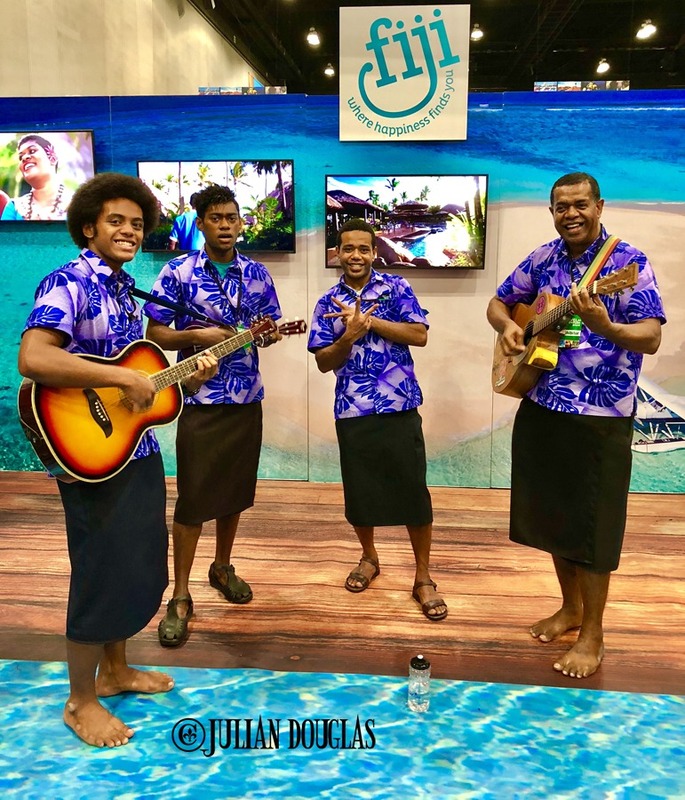 The Fiji entertainers were a huge hit last year and are back to entertain the masses once again this year. From foreign tourist bureaus, cruise lines, resorts, air & train transportation, private tours, guidebooks, apparel, luggage and more. You can see they have you well covered. You won’t go hungry with so many samples from some many destinations available. 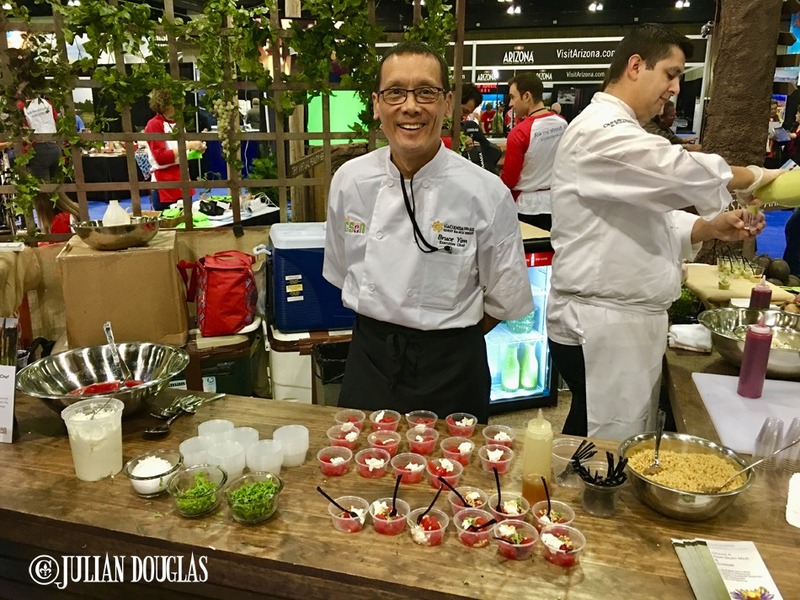 Many of the exhibitors will feature giveaways for trips, travel discounts, small gifts to hand out and some even have food & drink samples from their homeland. Now you get an idea of why it’s so busy. 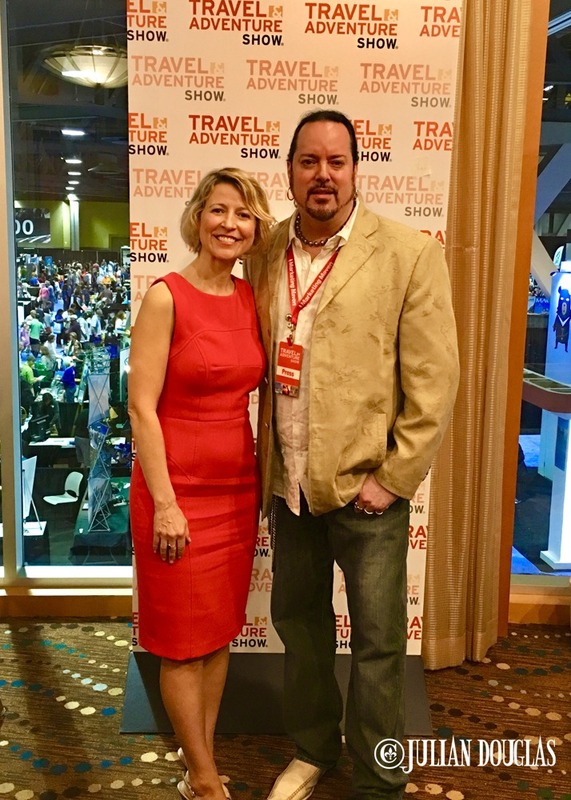 I have many friends in the travel industry, but few I can say not only do I consider mentors, let alone who have helped my journey forward, such as Samantha Brown. 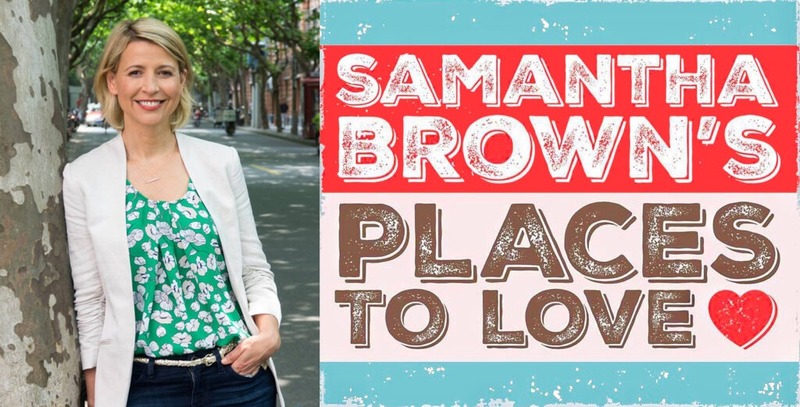 Be sure to check out Samantha Brown’s hit new series, “Samantha Brown’s Places To Love” now on PBS every weekend and available online. 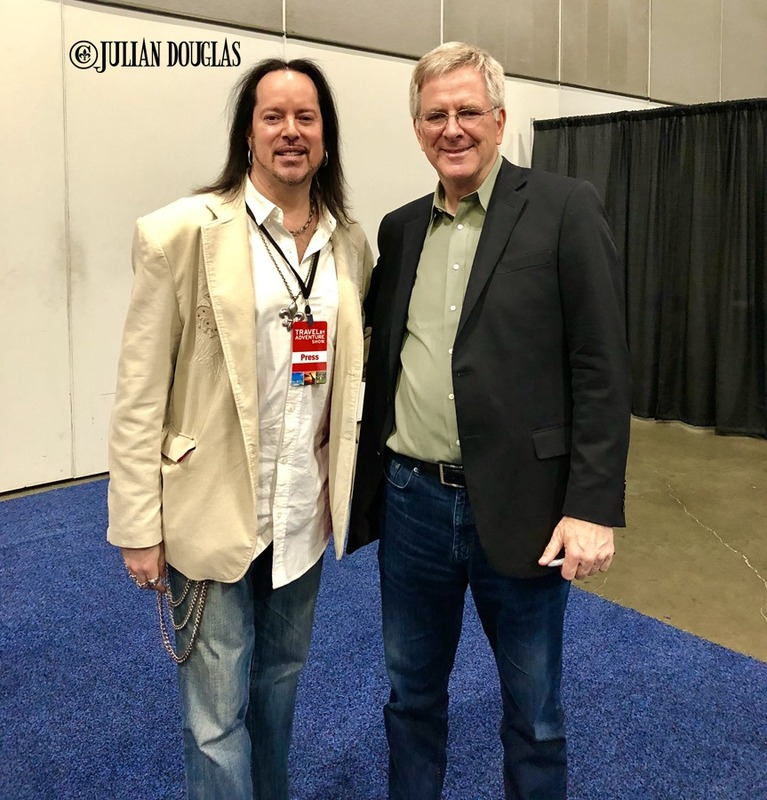 One of the highlights every year is getting the chance to catch up with a true travel icon, Rick Steves. It doesn’t hurt to have a friend who knows how to “Travel Like A Pro” and that’s what he’ll be speaking about this weekend. You can find Nicole & I in the audience listening on so many ways we can figure out how to travel wiser thanks to Angel. 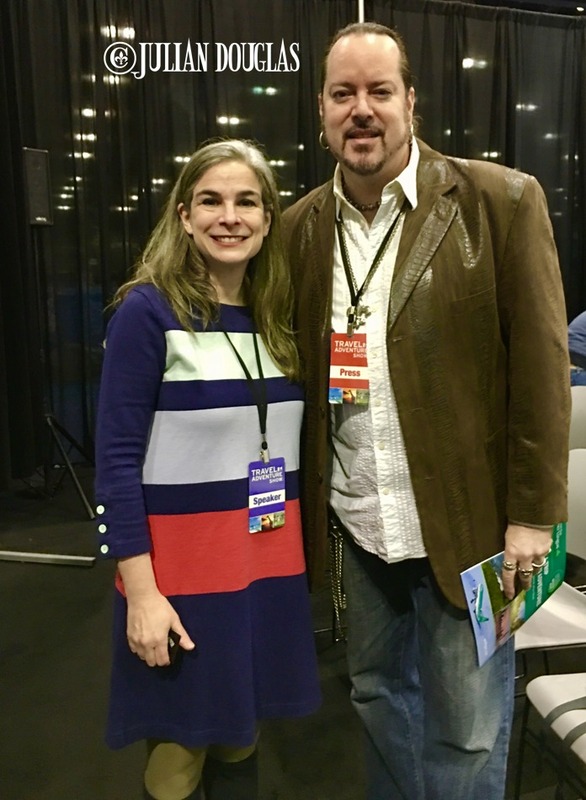 One of the most knowledgeable people in the travel industry, and still one of the nicest, Pauline Frommer of Frommer’s Travel Guides. and Patricia Schultz – Bestselling Author of 1,000 Places to See Before You Die just to name a few. The best part of these appearances is after each one is done, then they stick around for a meet & greet. Giving the chance for fans to say hello, grab a picture or get an autograph. The entertainment on the Global Beats Stage is non-stop, with a new demonstration almost every 20 minutes. 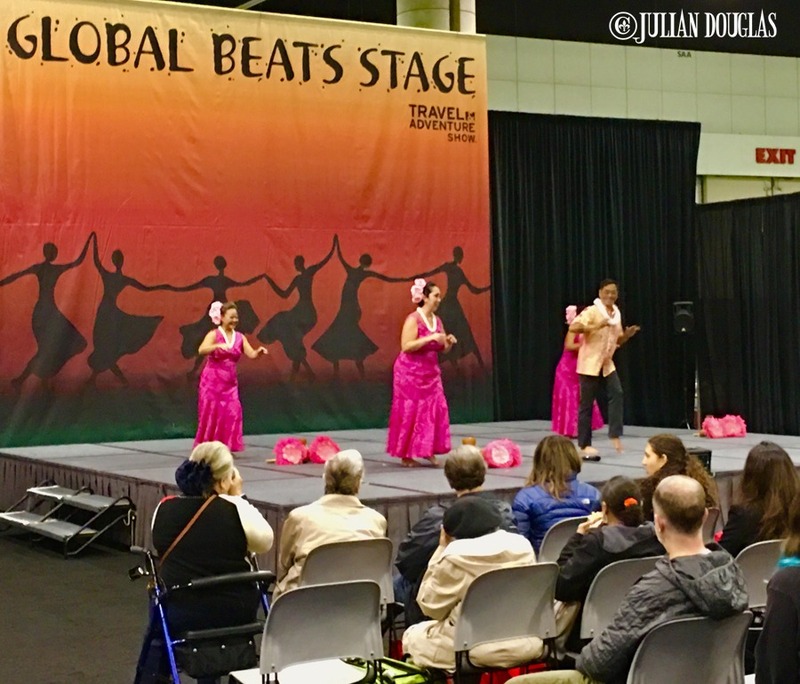 Maybe you would like to get off your feet and sit down to enjoy some amazing cultural performances on the Global Beats stage. They have that covered too, a few examples of dance troupes from Tonga, Indonesia, Papua New Guinea, Panama, Taiwan & more; and musical acts from around the planet. Last year I didn’t take a ride with Eli The Camel, but instead, tried to catch a quick smooch… I was denied. If it’s hands-on activities you’re looking for then they have those too. 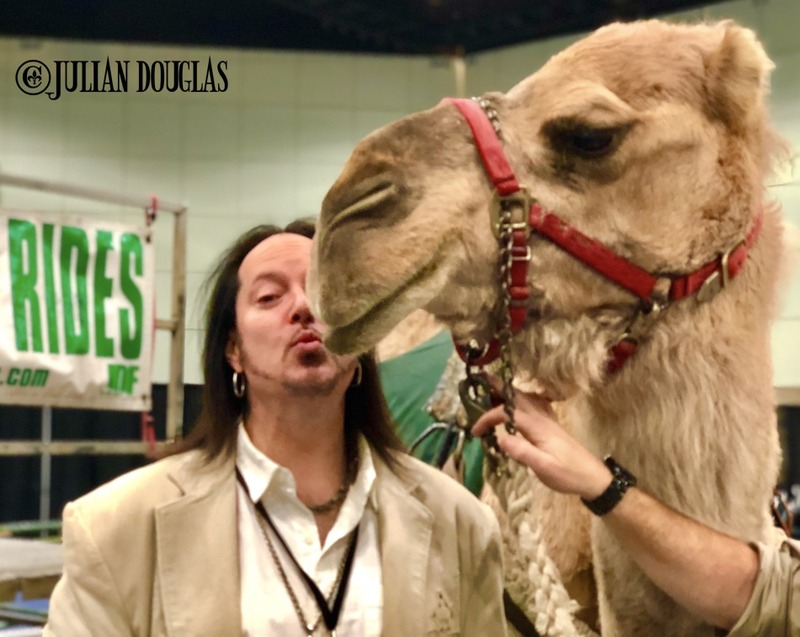 The past two years a crowd favorite and our personal fav, the hit of the LA Travel Show was, Camel Rides! Yes, it was your chance to see what it’s like crossing the Sahara while on a camel. Although Eli the Camel won’t be there this year, maybe if enough of you inquire, he’ll be back for 2020! 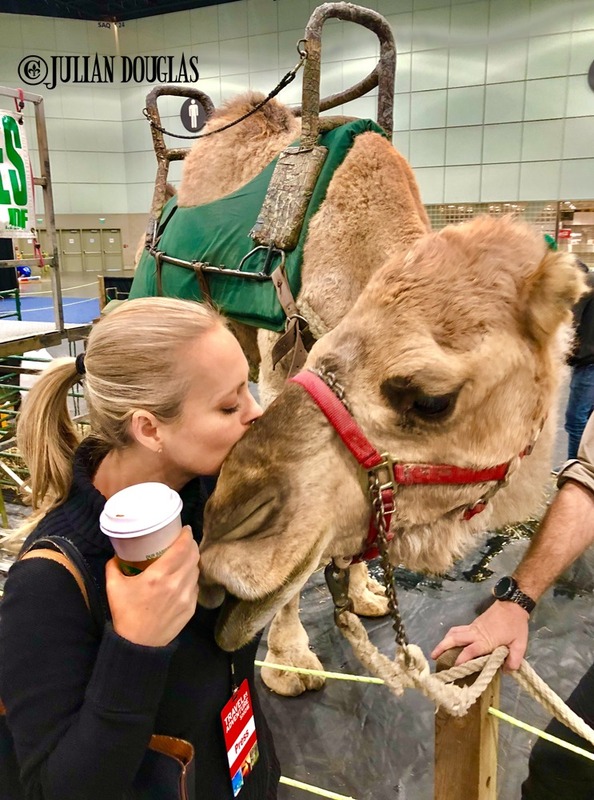 My wife Nicole on the other hand, of course, spent 5 minutes getting Camel Kisses from Eli The Camel. A big returning activity is the GoDiveNow pool. 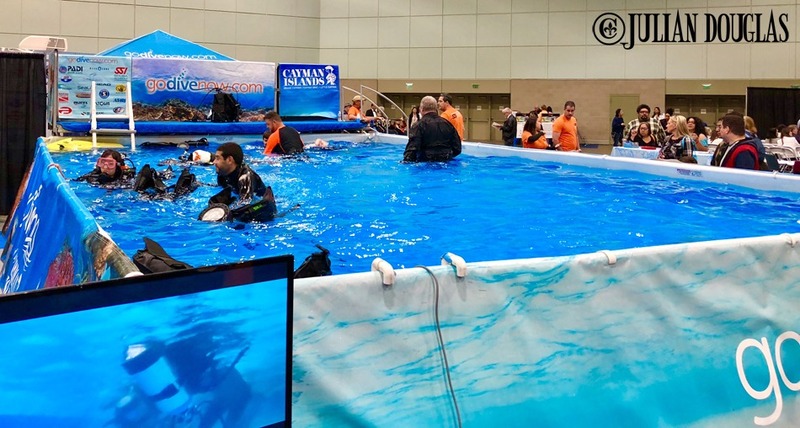 They have diving lessons in a pool to get your feet wet, literally. Just bring your own swimsuit or wet suit and they’ll supply the scuba gear! Don’t forget, just bring your own suit and they’ll do the rest. Don’t want to get wet, there are plenty more activies for you. 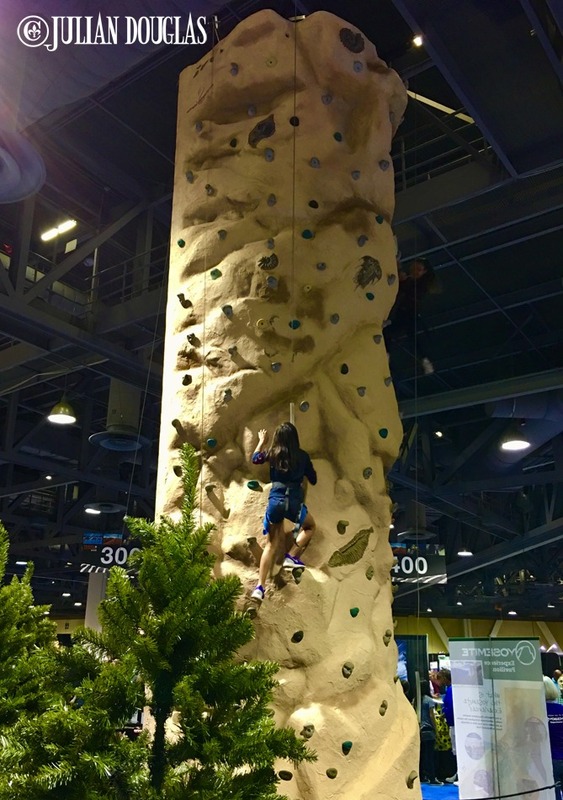 For the first time this year, you can do an indoor zip lining! Yes, the Inflatable Zip Line, 36’ high over a mock Amazon River. There’s a Virtual Reality (VR) Tour through Yosemite. You can do a green screen picture at Visit Montana’s Photo Booth. That’s just a few, there are so many more activities you can see why you’ll be busy one day there or the entire weekend. The past few years Yosemite Tourism had a way to burn off those calories from all the food tasting… rock climbing. Another first last year was the Passport Project, quite an amazing perk. The U.S. Department of State is here to get more people traveling in 2019. If you need a U.S. passport or just need to renew your current passport, they’ll have you covered. Plus, all applicants with an appointment will get free admission into the show. Check out the Travel Show’s website for more details. Bright eyed and bushy tailed, ready to head into the Press Check-In and on to the Media Event before the Show opens to the public early in the morning. For me, it’s a bit of a homecoming of sorts. 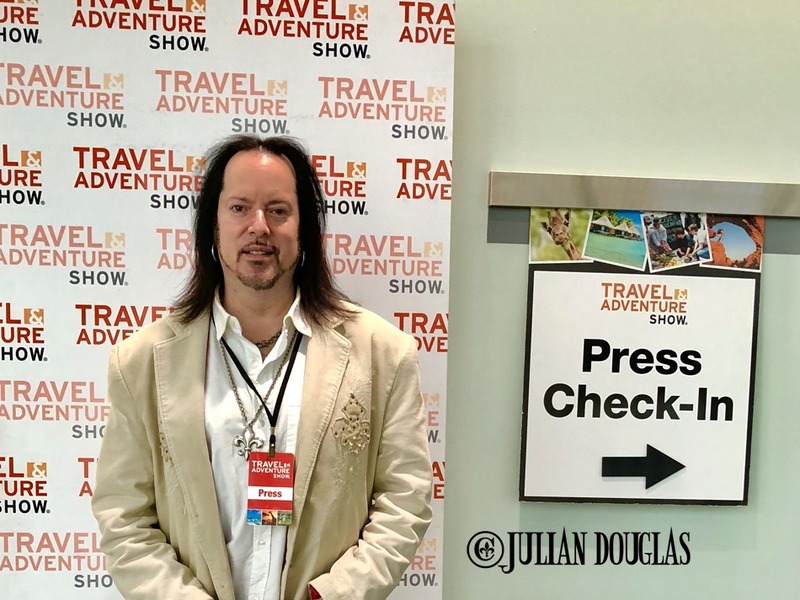 The LA Travel Show is now in its 14th year, many years I had gone, but the past few I’ve had the honor to attend with a Press Pass. 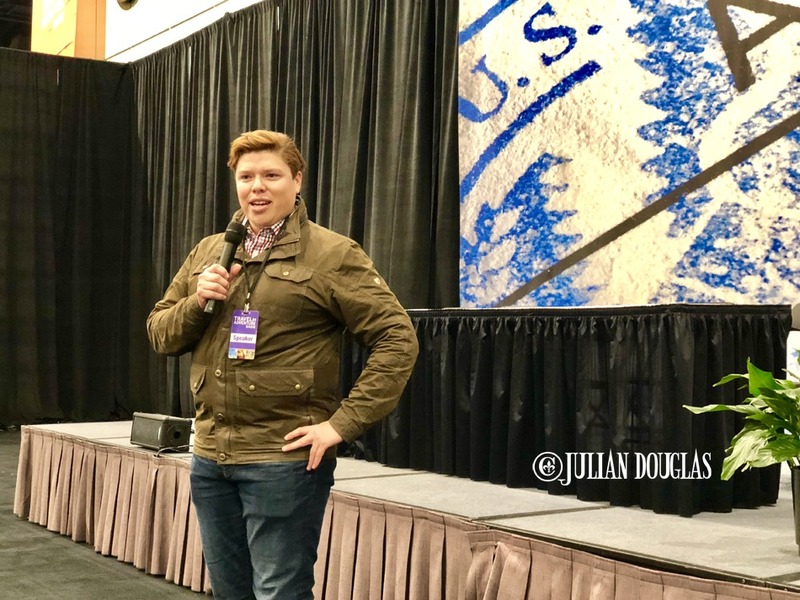 Receiving Press credentials was only icing on the cake to attending, thanks to the popularity of this blog. In fact, my life’s new direction is owed to this convention. From its days at the beautiful Long Beach Convention Center to now at the mammoth, modern Los Angeles Convention Center. People often ask if Samantha Brown is just as real & warm in real life, as she is in all her shows… well of course! It’s a lesson to for those in travel & all walks of life, to be who you are. The travel industry is filled with amazing people, those helping to provide the travel to those doing the traveling, to those who write and film about it. I’m lucky to cover the spectrum in my life. 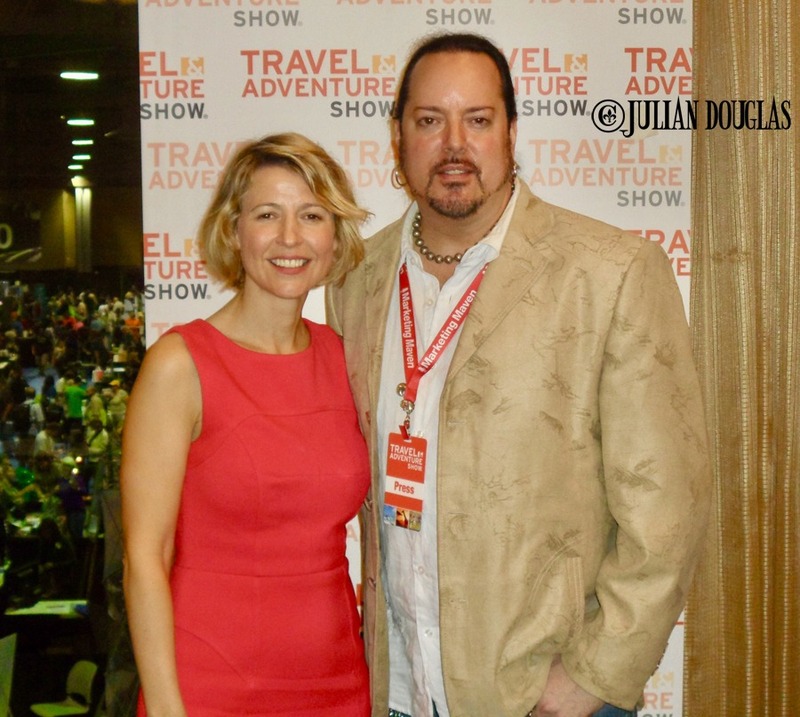 Just a couple of years back of all the friends I’ve made in this business, my friendship with Samantha Brown, had me close to having my own show on the Travel Channel. Dreams do come true, but if they don’t, never give up. 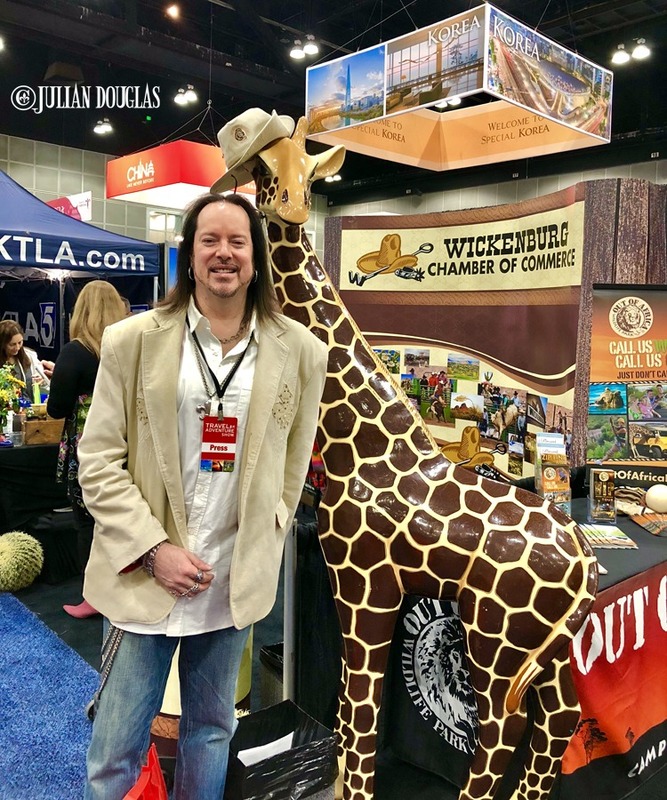 Now thanks to Samantha and other friends like travel icon Rudy Maxa who guests the Travel Show circuit, I’m now on my way to my own show taken from this blog’s title… Listen, Journey, Savor with Julian Douglas. 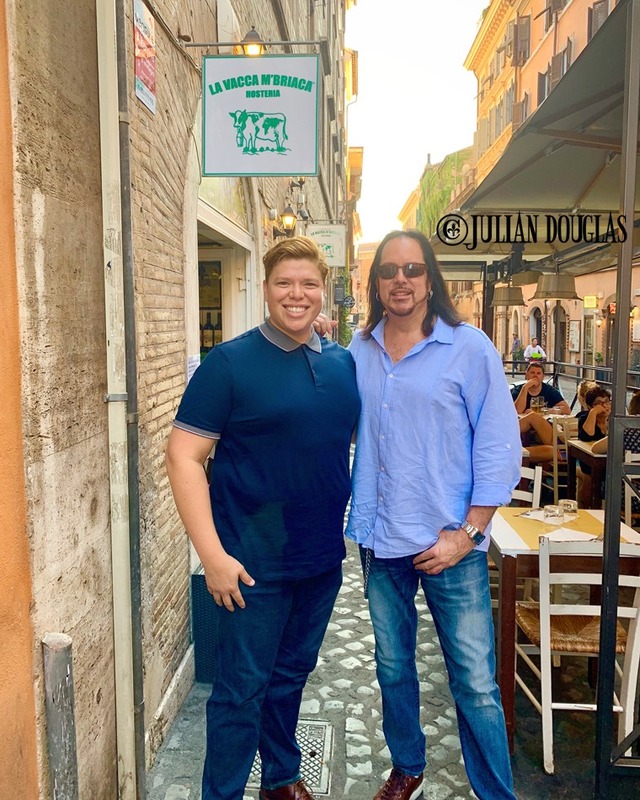 Speaking of catching up, Angel Castellanos and I actually had the pleasure to spend some time in Rome a few months back. Unfortunately, we haven’t seen each other since we’ve been back. So, I can’t wait till the Show! Needless to say, this year’s LA Travel Show has me looking forward to attending. From a business standpoint, I can’t wait to network, research, film, and document this incredible event. Catch up with Samantha Brown, Angel Castellanos, Rick Steves & Pauline Frommer. Meet new industry people, especially Josh Gates. It’s amazing the relationships and true friendships you build over the years thanks to this amazing industry, let alone “convention”. Angelo from LivItaly is one of them! 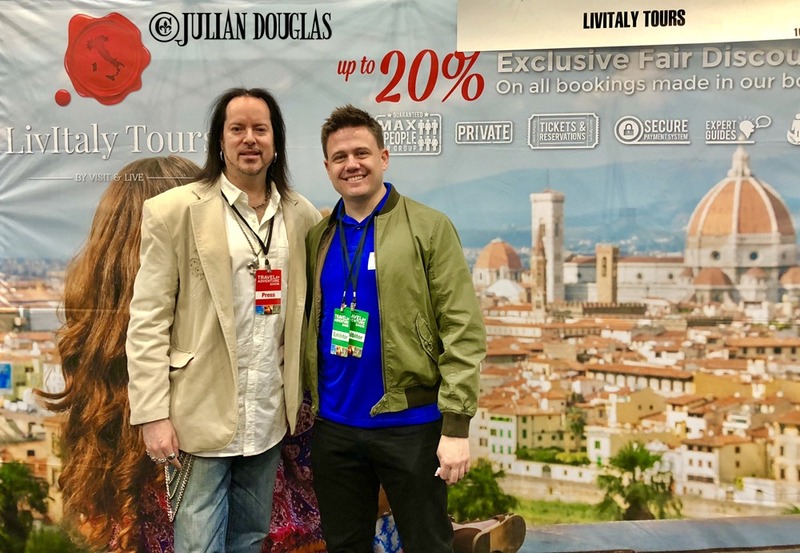 Last year we spent some time brainstorming with our friend Angelo at LivItaly Italian Tours (www.LivItaly.com) and some other great tour companies. Thanks to that time spent, especially with LivItaly, our fall trip, 2 weeks in Italy became the trip of a lifetime. Rome, Naples, Sorrento, Bologna, Modena, Parma and Venice. 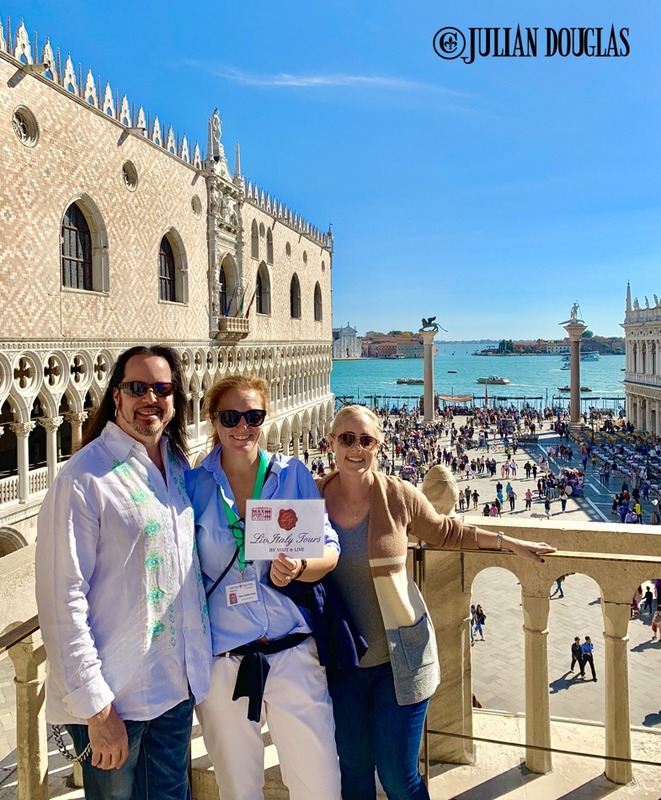 A picture perfect day treated like royalty in Venice, thanks to Marie-Therese of LivItaly Tours. Nicole & I and our friends will never return to Venice and not have LivItaly show us around! Do you have a dream or a fantasy? I did. 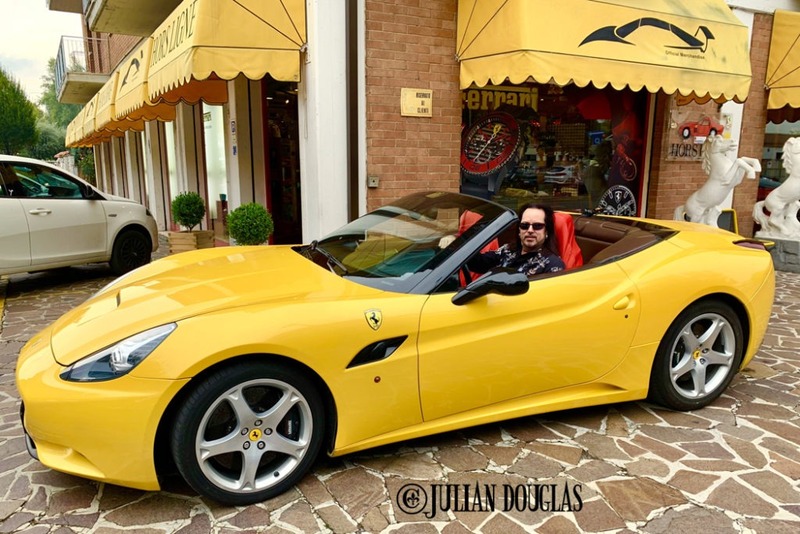 To one day drive a convertible Ferrari through the Italian countryside. Not too much to ask for right? Well, Angelo last year said he would make it happen, and guess what… as you can see, he did. Now you see why they are called “LivItaly”, as you will truly Live Italy with them! See, it’s not just business at the Travel Adventure Show. After our incredible Italy trip, my wife and I have some other great excursions in the works and this is the place to start planning. This gives us a chance to learn more about where we plan on traveling to, but to open doors to new places as well. Take a moment and say hello to the friendly folks from the Cook Islands. I’ll be there at 9:30 am on Saturday for a private media tour, thanks to all the fantastic hospitality of Marketing Maven. Then I’ll be ready to enjoy the day when the doors open at 10 am along with my wife and many friends. I hope to see many of you there joining us. Hopefully I see some of my friends from Korea again too! 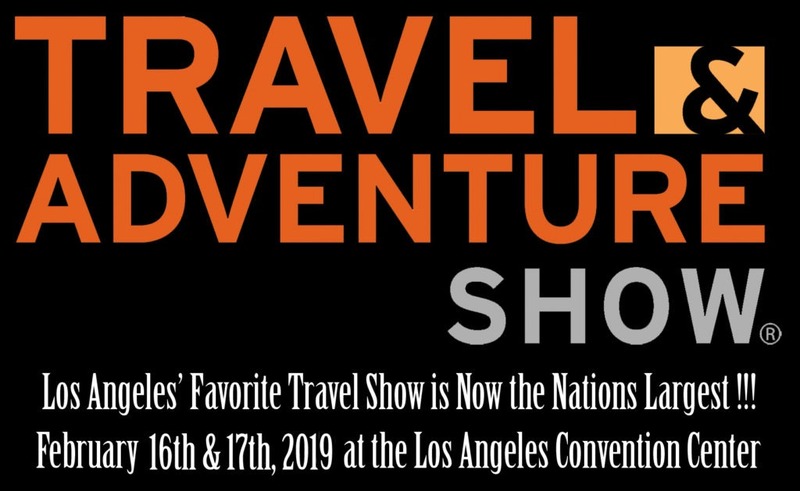 If you don’t live in Los Angeles, the Travel & Adventure Show will also be in Boston, Chicago, Dallas, Denver, Philadelphia, San Diego, San Francisco and Washington D.C., so check out www.TravelShows.com for more information. You never know who or what you’ll run into after all.